LOCATION, LOCATION, LOCATION. 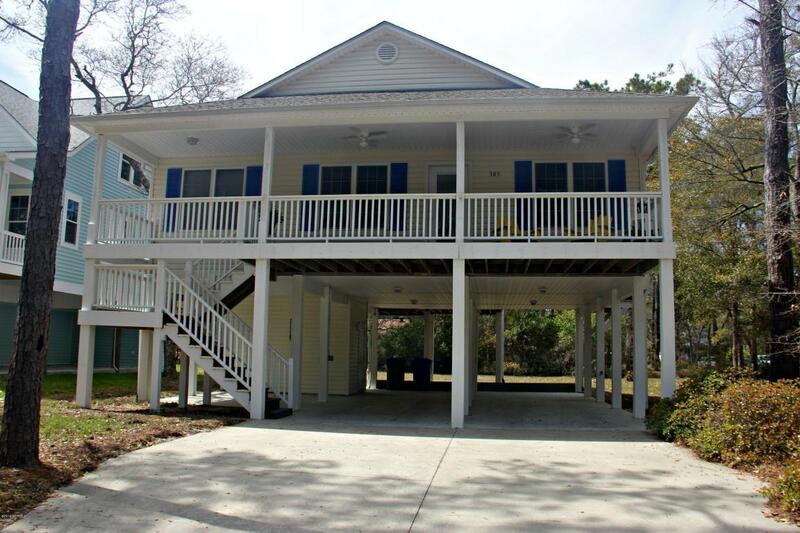 Relax in this pristine, fully furnished, well maintained Oak Island home on pilings. 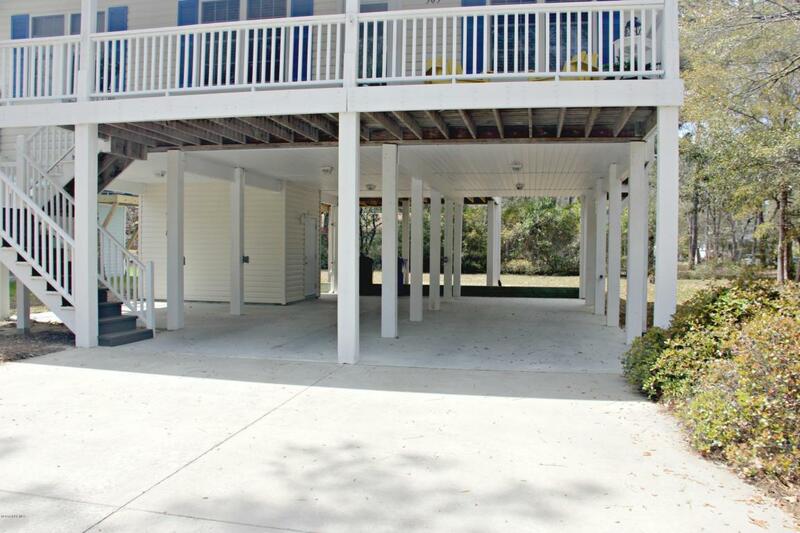 This house is on a quiet street near the beach, restaurants, grocery store, shopping, and entertainment (putt-putt, fishing pier, boat launch) as well as the 58th Street traffic light. 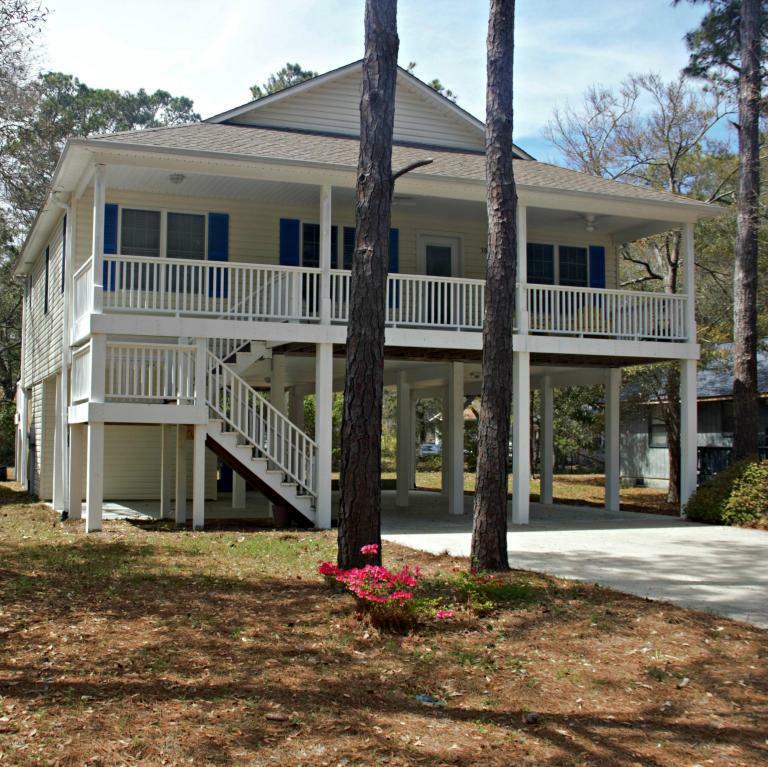 After entering from a large covered front porch, this home features a spacious, open living/kitchen area, with maintenance-free faux wood Pergo flooring. Screened porch and open deck span the back of the house. One side of home features large master suite and adjacent master bath (dual vanity & tiled floor), the other side has two guest rooms with a shared tiled bath. A separate laundry room with washer and dryer is just off the tiled kitchen.Plenty of parking and large storage room is located under the house, as well as an enclosed outdoor shower with hot & cold water. 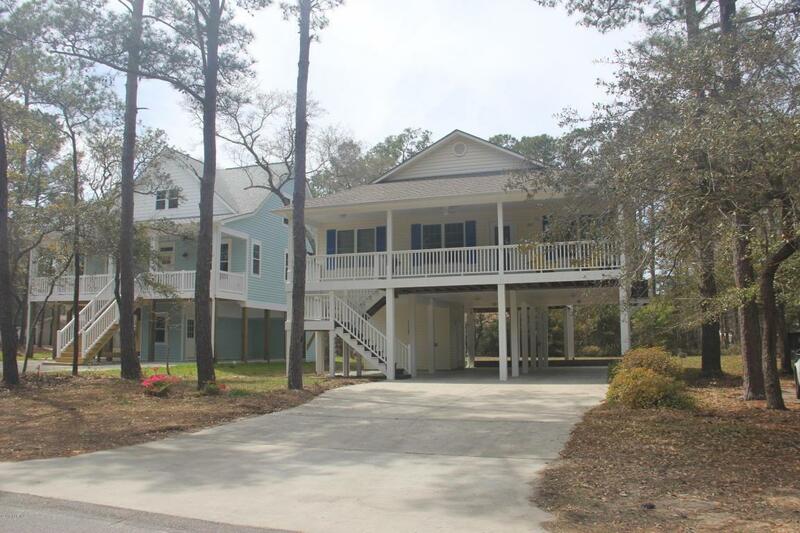 Original owners use house on weekends and weekly vacations, and it has never been rented! Includes 2-10 home warranty.